Is ASQA Auditing Outside of Training Package Requirements? 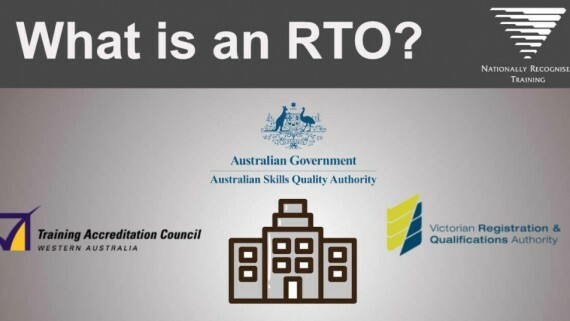 I have believed for some time now that ASQA and State Regulators are operating outside of the Standards for RTOs and the VET Training Package frameworks by auditing assessment tools against the Unit of Competence (UoC) Elements and Performance Criteria. Read on to understand why I believe this is the case, and how this view is supported by evidence in the Standards for RTOs and official Training Package framework documentation. NOTE: Before I start, I want to make it clear that this article is my personal view and that all Assessment Tool developers we represent on this site do map their assessment tools to Unit of Competence criteria as well as Assessment Requirements. is conducted in accordance with the Principles of Assessment contained in Table 1.8-1 and the Rules of Evidence contained in Table 1.8-2. Importantly it does NOT say… “RTO complies with the Unit of Competence requirements of the relevant training package or VET accredited course”. Why? Because it is not required. I will explain why now. 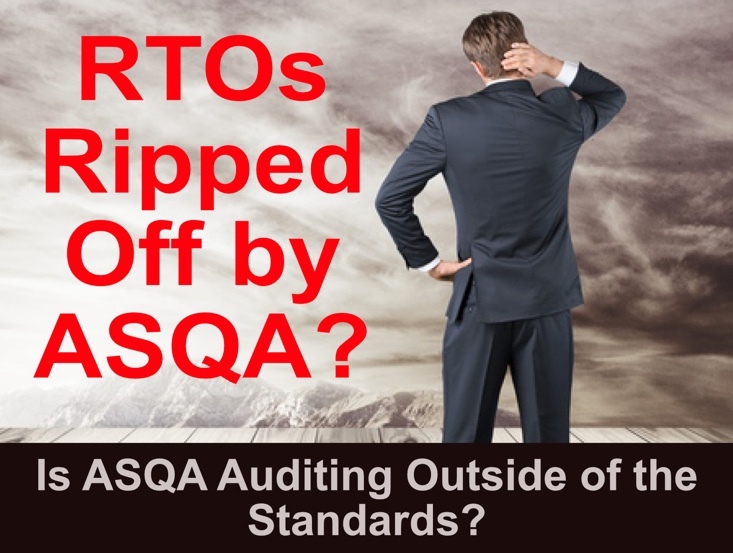 In this article, I will be exploring how RTOs and their learners have been completely ripped off by ASQA and State Regulators. We have been let down by all current and previous Government VET Policy Organisations involved in the overhaul and implementation of the so-called “Streamlined” Training Packages. We have never received what was promised, and no one seems to have stood up and asked WHY? Why did we overhaul the Training Package framework and not actually implement the recommendations responsible for the overhaul in the first place? Why have we allowed our Regulators to regulate outside of the standards they are responsible for upholding? I want to take you back to November 2012 when the Standing Council on Tertiary Education, Skills and Employment (SCOTESE) endorsed the new “Streamlined Training Package” format. The paper released by the NQC in 2010 outlines the “Design Model” for “Streamlined Training Package Material” which was endorsed by SCOTESE. This paper describes the Training Package design we have today and provides clear reasoning for the implementation of this system. 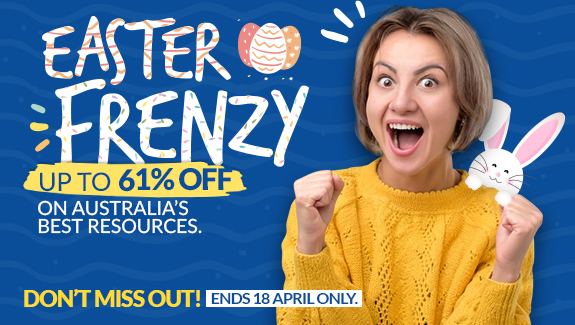 I specifically recall sitting at an ASQA presentation on the “Streamlined Training Package Design” and listening how great the new Training Packages would be for both RTOs and auditors in terms of clarity and consistency at audit. One major change in the new structure was to remove the Assessment Requirements from the UoC to provide absolute clarity for Industry, RTOs and Regulators on the evidence requirements for the unit. They explained how having the Assessment Requirements split off into a new document would provide RTOs and Auditors with the specific evidence requirements for competency and compliance and improve the consistency of audit outcomes. We were told the Elements and Performance Criteria were embedded in the Assessment Requirements, and that this single document would provide a much clearer framework for RTOs and Auditors on evidence requirements. The Unit of Competence described the performance for learners to achieve and Assessment Requirements guided RTOs on the evidence required to demonstrate competence with these Performance Criteria. Simple, right? Unfortunately, that never happened. This NSSC presentation supports the information provided to RTOs around Australia in ASQAs presentations. 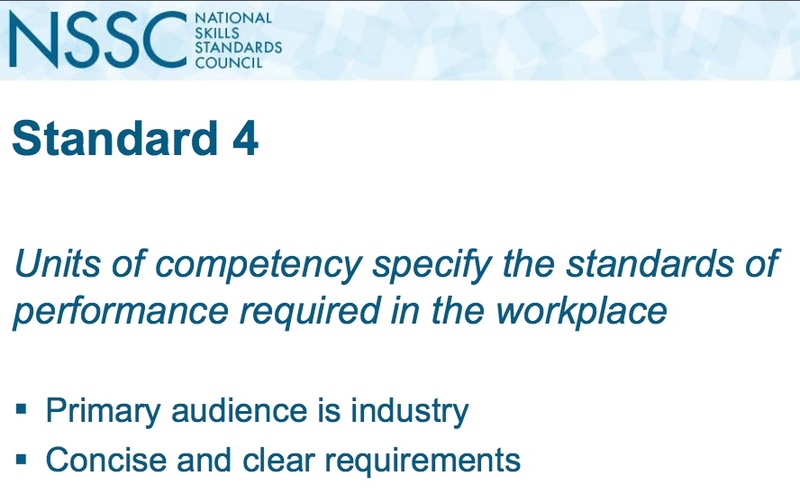 In their presentation, the NSSC describe the primary audience for the Unit of Competence document as Industry. RTOs and Regulators are the primary audiences of Assessment Requirements. NOTE: Regulators are not the audience of UoCs! So what happened? Why are ASQA and other Regulators auditing against the UoC Performance Criteria? Why create a separate document for Assessment Requirements? Why spend countless millions of dollars in trying to design and implement a clearer, more “streamlined” Training Package framework and then go back to regulating Training Packages according to the old framework? Has anyone also picked up on this ridiculousness? 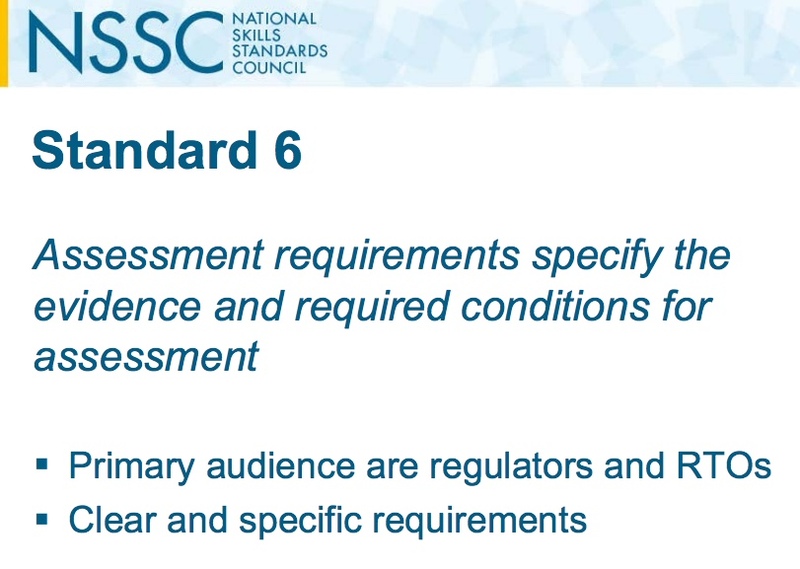 According to their own advice and the description provided in Standard 6, ASQA should only audit to ensure RTOs can produce evidence of candidates meeting ALL Assessment Requirements. Why are they auditing assessment tools and learner evidence against Performance Criteria and Elements as well? According to Training Package development guidelines, Assessment Requirements must address all evidence required to meet the elements and performance criteria. By auditing assessment tools against the Performance Criteria, I believe that Regulators are operating outside of their responsibilities and undermining all the work done by Training Package developers (in clearly defining evidence requirements, outlined in Assessment Requirements). 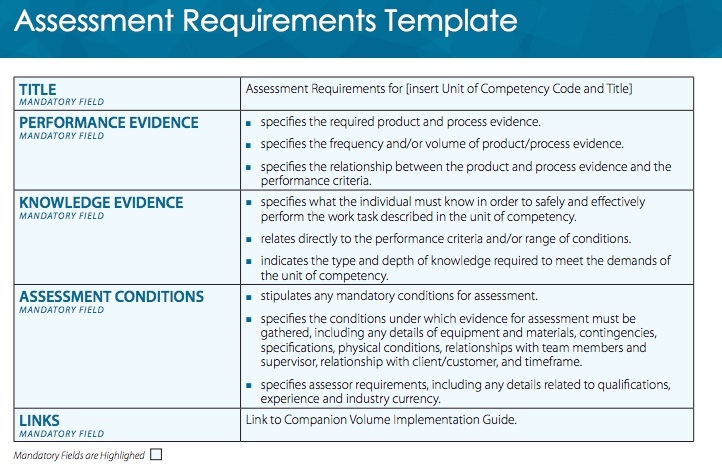 The Training Package development template for Assessment Requirements (below), clearly outlines the developer’s instructions. Please note, it clearly states that Assessment Requirements “specifies the relationship between the product and process evidence and the performance criteria” and that Knowledge Evidence “indicates the type and depth of knowledge required to meet the demands of the unit of competency”. It is my belief that auditing against Assessment Requirements (responsible for describing the evidence required to meet Performance Criteria) and then also auditing each and every Performance Criteria creates inconsistent and incorrect audit decisions. Auditors get caught up on words, and although the outcome may have been addressed in the Assessment Requirements, if the auditor can’t see a Performance Criteria verb addressed, they will make a determination of non-compliance. This is often an issue of semantics and not competence, due to different verbs used to describe performance in the UoC and Assessment Requirements. Asking an RTO why their assessment tool does not address one word used in a Performance Criteria description should not even be a discussion. Assessment Requirements outline evidence requirements and Regulators should focus Assessment Tool audits to Assessment Requirements. If an RTO is able to demonstrate evidence against ALL Assessment Requirements, they should be Compliant. This was the entire purpose of supposedly simplifying Training Packages with the fantastic new “Streamlined Training Packages”. If we are going to continue to require ALL Performance Criteria and Assessment Requirements to be addressed, I suggest that we merge both documents once more to “streamline” UoCs and make it clear to all stakeholders that they must provide evidence of all requirements in one document. I have already raised a complaint with this information, and here is ASQA’s response. It should be noted that they did not address most queries I have raised on this issue to date. “While I appreciate your comments, I must point out that the Standards for Training Packages are focused on the design and development of training packages (seeking to ensure that they are of high quality and meet the needs of stakeholders) – they are not, and were never, intended as instruction or guidelines for the purposes of auditing training organisations. I also appreciate your reference to Standard 1.8 of the Standards for Registered Training Organisations 2015, and in particular, the reference at clause a) to the ‘assessment requirements of the relevant training package or VET accredited course’. 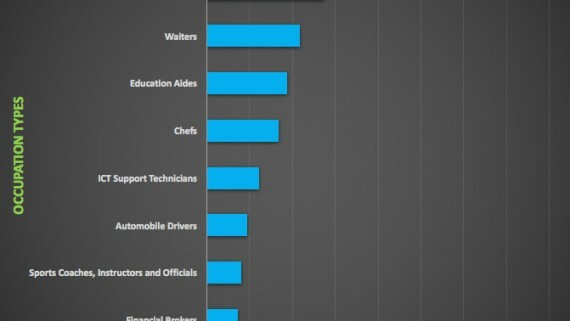 I must point out, however, that Standard 1.1 deals with this issue in that, for an RTO to be compliant, its training and assessment strategies and practices, including the amount of training provided, must be consistent with the requirements of training packages and VET accredited courses and enable each learner to meet the requirements for each unit of competency or module in which they are enrolled (emphasis added). In auditing against this Standard, ASQA takes the view that examination of the training organisation’s strategies, at the unit of competency level, is required. Indeed, Standard 1.8 Itself, in defining the Principles of Assessment and the Rules of Evidence, make several references to units of competency. Again I point out that according to Training Package Standards the Performance Criteria are already addressed by evidence outlined in the Assessment Requirements documents. The training package developer’s instructions make it clear the audience of the UoC document is Industry and NOT Regulators and RTO. Standard 1.8a requires the Regulator to audit compliance with Assessment Requirements. Therefore ASQA should only be auditing according to the evidence requirements outlined in the Assessment Requirements. If Assessment Requirements are all addressed in candidate evidence, then the student must be competent and the RTO must be compliant. I believe that we are in a situation where the complete Training Package format was overhauled to make everything “streamlined, clear and consistent”. However, when the Standards For RTOs were updated in 2015, they updated standard 1.8a to define that assessment requirements must be addressed but failed to update the definition of principles of assessment (standard 1.8b). They also failed to clearly define standard 1.1, which attempts to address everything in its entirety in one sentence. ie. Standard 1.1 deals with this issue in that, for an RTO to be compliant, its “training and assessment strategies and practices, including the amount of training provided, must be consistent with the requirements of training packages and VET accredited courses and enable each learner to meet the requirements for each unit of competency or module in which they are enrolled”. So why does ASQA still audit assessment tools against Performance Criteria? How can ASQA and State Regulators find RTOs Non-Compliant for not addressing a particular Performance Criteria when they have met all corresponding Performance Evidence, Knowledge Evidence and Assessment Conditions outlined in the Assessment Requirements? Basically, I believe that our government spent an incredible amount of time, resources and money to implement a streamlined training package product that was never implemented as intended because the Standards for RTO’s were NOT updated correctly to support the Training Package change. The result is a much messier system than ever before. Such a shame. If you agree with my interpretation of information provided by the NSSC (still the current Training Package framework) as well as all information provided by regulators on “Streamlined Training Packages”, I would urge you to put these queries to ASQA via [email protected] or your State Regulator. We need clear and consistent frameworks and regulation to ensure we have a healthy, quality VET sector for Australia.